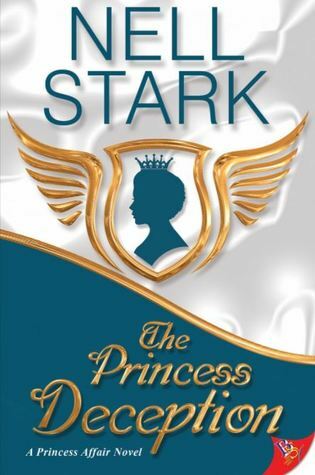 Nell Stark is back with another book in her Princess series. Deception is the name of the game here. Based on William Shakespeare’s Twelfth Night, we have a princess pretending to be her brother and a journalist trying to uncover the sordid tale. Viola is the Princess of Belguim. An accomplished artist who prefers to stay out of the family’s limelight. Unfortunately for Viola, her twin brother Sebastian overdoses on heroin right before Belguim begins its rally to win the bid on the next FIFA men’s World Cup. As in the Twelfth Night, Viola takes on pretending to be Sebastian to fool everyone into believing everything is on the up and up. She doesn’t want to let her family or her country down. Missy Duke was the face of USA women’s soccer. Her career was ended before she was ready with a catastrophic knee injury. Duk” doesn’t know what to do with herself, emotionally she is a mess and now she has settled for a job she really doesn’t want because she has no idea what to do not being on the pitch. Taken a job as a gift from a brother of a teammate, Duke sets off to cover Belguim’s bid for the cup. Unlike in the Twelfth Night, Viola doesn’t totally sell her alternate identity as her twin. Duke picks up on it pretty quick by seeing little tells Viola has. Tucking her hear behind her ears, little things here and there. So a good portion of the story is the newbie journalist trying to figure out the why and see if it’s newsworthy. Of course, she is attracted to Viola so this makes her problem even larger. Overall the book is q good read, Nell Stark always delivers a quality product. My only hangup is that I wish our two mains spent more time together. The reuse of pretending to be Sebastian takes up so much of the storyline that you don’t get enough Duke and Viola time. The relationship/romance portion of the book is smaller than I would have liked. Still a great read! I was enthusiastic about reading this book months ago when I found out there would be another in the Princess Affair series. Nell Stark consistently puts out quality books that have been well researched and have exciting characters. I am a fan of the way she gives significant background information, without it taking over the story and stifling the romance. 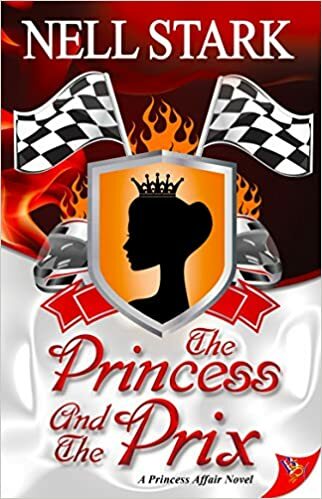 The Princess and the Prix is no exception, it is a quality read. Alix is a princess who totally does not act like a “princess”. She is Serene Highness Pommelina Alix Louise Canella of Monaco, but more importantly she is a highly intellectual woman who cares deeply for the plight of those less fortunate. Alix’s life has been 100% focused on her studies and then pursing her humanitarian efforts in East Africa. She has never given much thought to love or relationship. Thalia d’Angelis is all about fast cars, fast women and not giving a damn about what anyone else thinks. She is an unapologetic cad. Thalia is an up and coming Formula One driver, who wants to be the first woman in history to stand atop the podium. I thought the book was good, but it left me wanting in the romantic fuzzy feeling kind of way. While I adored Alix and her transformation, I was really drawn to how smart and cognizant she was. Alix’s mental wheels were always turning and evaluating the interactions with other characters, especially Thalia. Thalia, while I enjoyed her character as an athlete who is consumed with the need to win and perform, I couldn’t really connect with her outside of that. It seemed a little artificial to me when she fell in love with the Princess, and was ready to change her ways. This is definitely a worthy book, and I enjoyed my time with it.